For more than two decades, Joseph's Jewelry in the Georgian Village Shops of Kansas City was a place where lovers of fine jewelry would go to buy their treasures and pass the time with the store's genial owner, Joseph Earl Candioto. His clientèle was a Who's Who in Kansas City, as Joe counted among his customers local politicians, celebrities, philanthropists and even a few not-so-local television stars. His passion for fine jewelry and fabulous antiques resulted in a collection so massive it has taken five auctions to liquidate it. And the best has been saved for last. On Friday, July 8, at 10:30 am Central time, Dirk Soulis Auctions will offer Session II of the Joseph Earle Candioto Collection (Session I was held in March; there were four online-only auctions as well). Session II will be held in Dirk Soulis's gallery, at 529 West Lone Jack-Lee's Summit Road in Lone Jack, Missouri, plus online. In addition to fine jewelry, the sale will also feature French Egyptian Revival style and French Empire antiques, Chinese antiques, Napoleonic objects, Sevres porcelain, marble statues and fine bronzes. 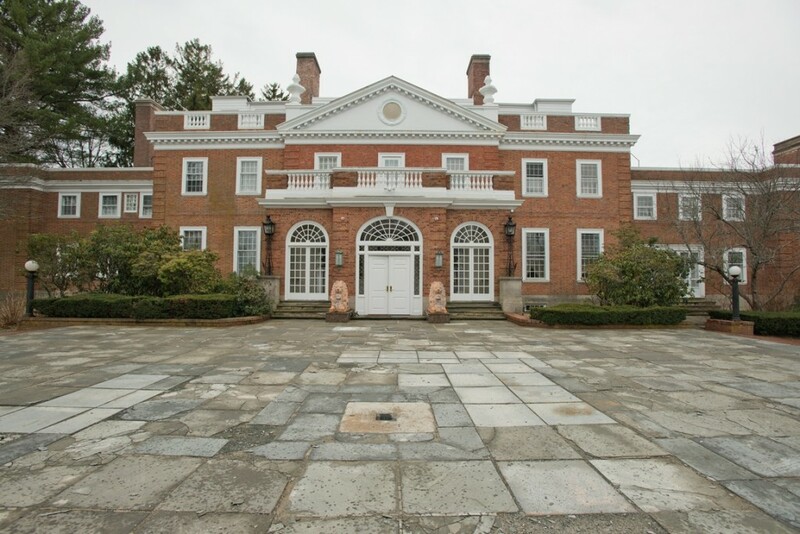 The 12,000-square-foot, 30-room Georgian mansion known as Seven Pines, located on Boston’s North Shore, plus its entire contents of European antiques and other fine items, will be sold without reserve on Friday, July 1st, and Saturday, July 2nd, by John McInnis Auctioneers, based in Amesbury, Massachusetts. 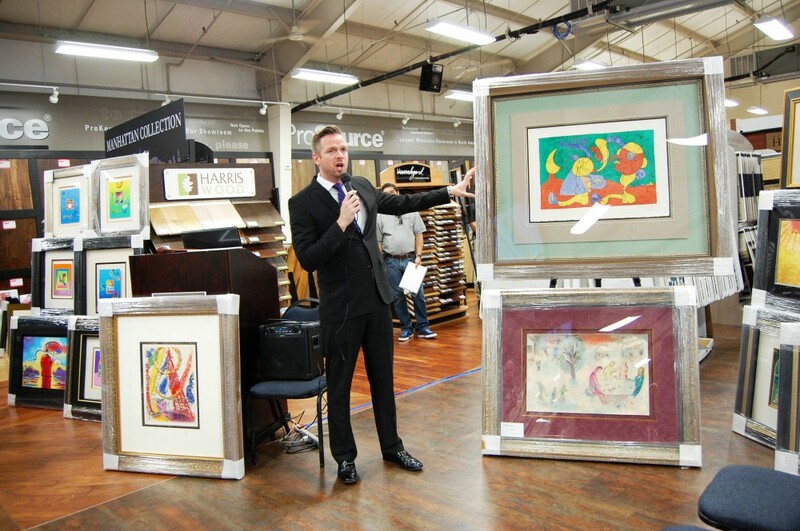 The auction will be held on-site, at 97 Larch Row in Wenham, Mass. Seven Pines is a Georgian Colonial brick manor home that was designed by Joseph D. Leland and built in 1927 on 30 picturesque acres. It has been lovingly maintained, updated and expanded. The contents are being called The Henry D. Audesse Collection, referring to Seven Pines’ most recent occupant. 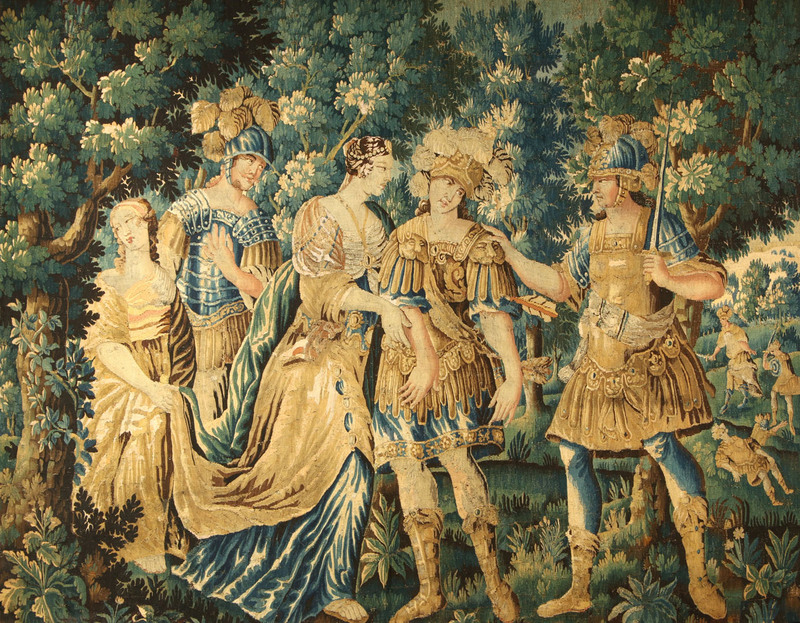 Session I, on July 1st, will feature over 400 lots of quality decorative items, to include Bell Epoque, 19th century furniture, porcelains, bronzes, paintings and lighting. Session II, on July 2nd, will have over 500 lots of 19th and 20th century decorative antiques, porcelains, accessories, paintings, many maritime objects and nautical antiques, scrimshaw and more. The home will be sold at 3 pm on Friday, July 1st. Ahlers & Ogletree in Atlanta, Georgia is an auction firm best known for its high-end estate sales featuring original artwork, decorative accessories, Asian objects and other items, mostly pulled from prominent local estates and collections. 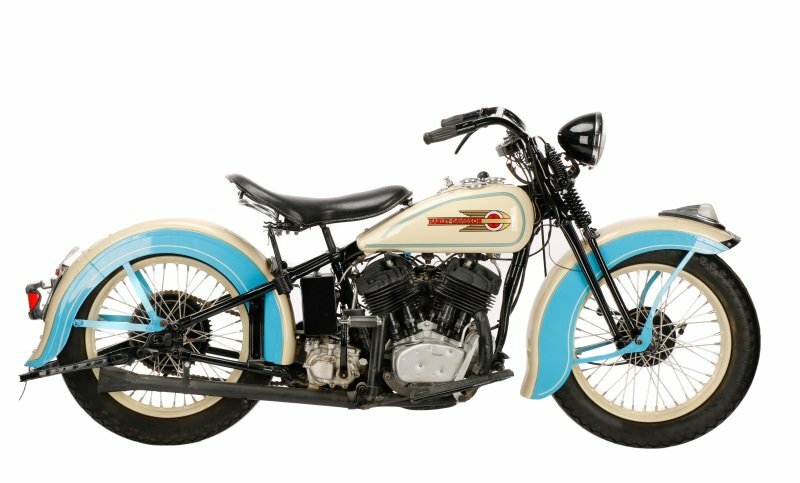 That's why I did a double-take when I saw one of the expected top lots in this coming weekend's Notable Private Collections Auction, slated for June 25-26: a 1936 Harley Davidson VLH flathead motorcycle with a 34 horsepower engine, three-speed transmission and a cream and light blue finish to the fenders and body. Oh, and of course the iconic Harley Davidson logo. The bike, which has no odometer and therefore no record of mileage, underwent a restoration somewhere along the way but is not yet ready for the road, as all fluids have been drained from it. But it is a handsome vintage bike, an 80-year-old Depression-era example from a company that was founded in Milwaukee, Wisconsin in 1903 and is still going strong today. The motorcycle carries a pre-sale estimate of $15,000-$30,000. Anyone interested may go to the website www.AandOAuctions.com. It isn't often you hear about an art auction held at a wholesale flooring warehouse, but that will be the case on Saturday, July 30th, when Baterbys Art Gallery (central Florida's largest fine art gallery, based in Orlando) holds a special live art auction event at the Jacksonville, Florida warehouse facility of ProSource, North America's largest trade-only wholesale home improvement showroom. On view will be over 300 artworks in a variety of styles and subjects, by names such as Pablo Picasso, Salvador Dali, Marc Chagall, Peter Max and Thomas Kinkade. It isn't the first time Baterbys and ProSource have teamed up for an event of this kind, but it makes sense when you consider the cavernous amount of square footage in a wholesale floorcovering warehouse (perfect for displaying artwork). And it could lead to business for ProSource. As a bonus for attendees, the auction will offer exclusive ProSource pricing for up to 70 percent off gallery retail pricing. Prizes will be offered, too, to include a raffle for a Royal Carribean cruise for two. People can buy tickets or be awarded tickets when they place a winning bid for an artwork. 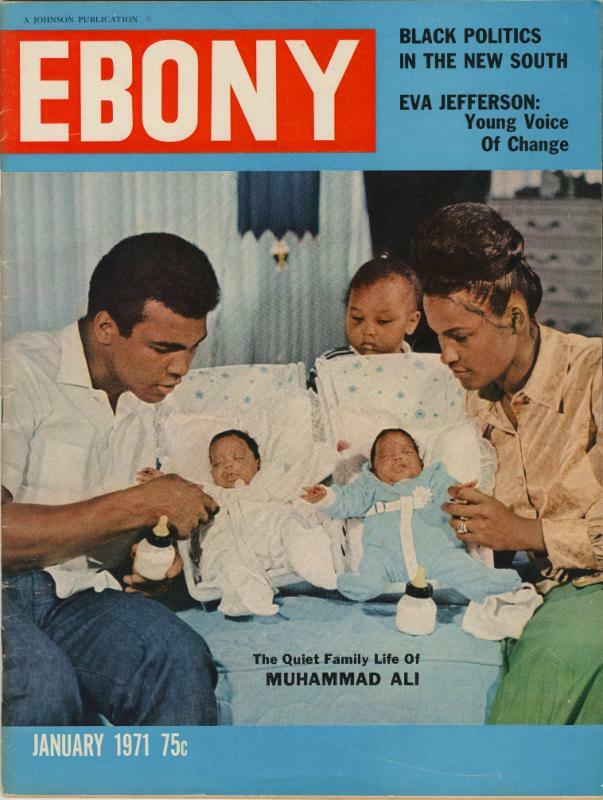 On April 27th, 1973, boxing legend Muhammad Ali, who at the time was at the top of his game and an international celebrity, signed a simple two-page agreement to sell the house he owned with his wife at the time, Belinda, in the Overbrook section of Philadelphia, Pa., to John and Mildred Cox. Sale price: $67,000. It turns out that Mr. and Mrs. Cox were the parents of Pamela Cox, the mother of Kobe Bryant, the basketball star who wasn't yet born but who would end up spending a good portion of his childhood in Ali's former home while visiting his grandparents. Now, that very two-page purchase agreement, boldly and clearly signed by Ali and Belinda, will come up for bid on Thursday, August 4th, at Goldin Auctions' Live Summer Auction, at the National Sports Collectors' Convention in Atlantic City, New Jersey. The house is significant in Ali's life because it was there he and Belinda began raising a family. Their twin girls, Jamillah and Rasheda, were both born while the couple was living in the house. Mr. and Mrs. Cox lived there for 40 years before selling it and moving to Las Vegas.